The timesheets sidebar has different permission settings. For a Team member with no manage rights they will just see their own projects. If you have the Project Manager Extension added, then any resource who is a Project Manager will also see an additional group of projects they manage. This group displays your profile image, name and the amount of hours you have reported this week total. It is also used as a home button for your own timesheets page. Here you can report your time entries and see an overview of your reported time. The My Projects group lists all the projects you are part of. This is a two level group of first resource groups and then individual resources under the ‘Active Resources’ umbrella. 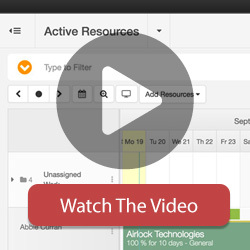 This allows you to view one resource at a time. This is a two level group of first project groups and then individual projects under the ‘Active Projects’ umbrella. This allows you to view one project of resources at a time. This group list out all resource groups. You can view all resources within a group by clicking one of the groups. Checking this box displays a small box to the top left of projects and resources, displaying the booked/scheduled time for that day. Checking this will hide resources with no booked time for the week you are looking at. This is useful when looking at groups of resources together and filters out those not scheduled. Hide Projects and Events with no Booked and Actual time. This hides projects under a resource when they have no Booked And Actual time recorded on them.